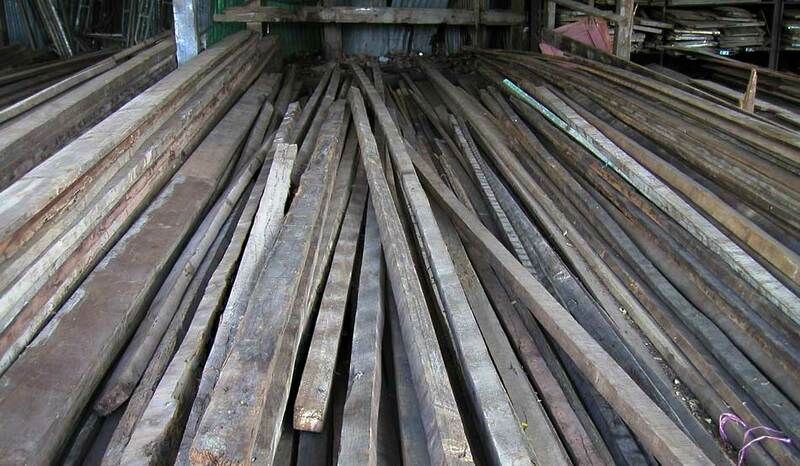 Reclaimed & Old Wood in Thailand. 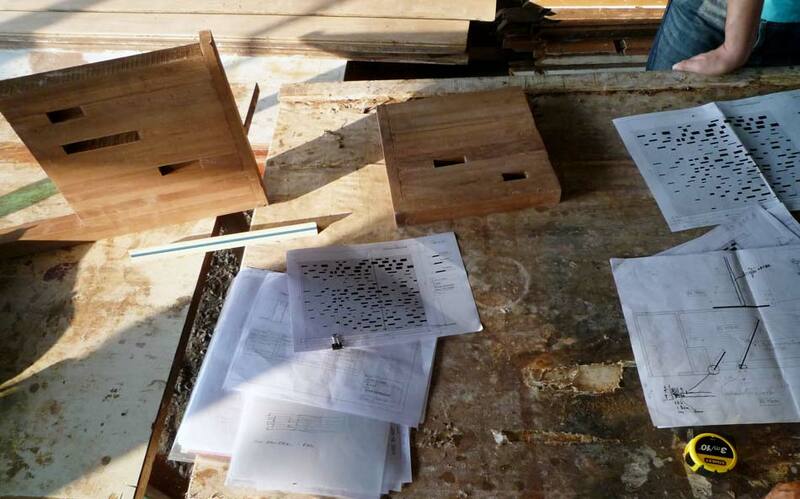 – architectkidd co. ltd.
Reclaimed & Old Wood in Thailand. 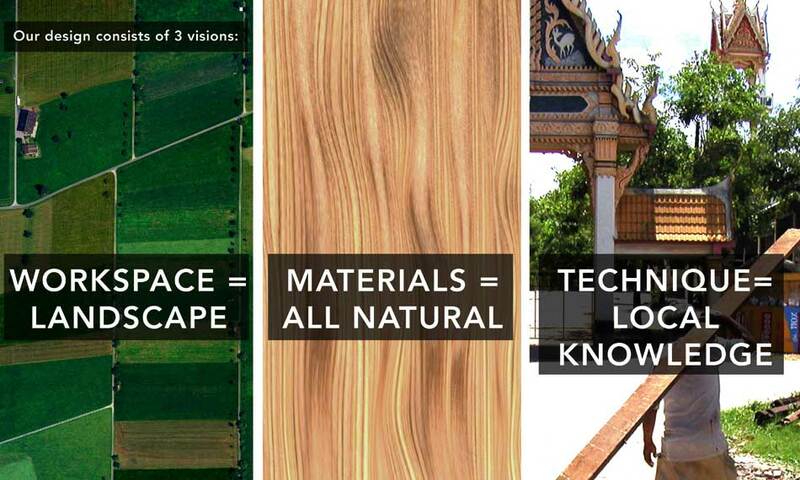 January 11, 2011: In Thailand, it is difficult to source wood and timber from sustainable sources for building. 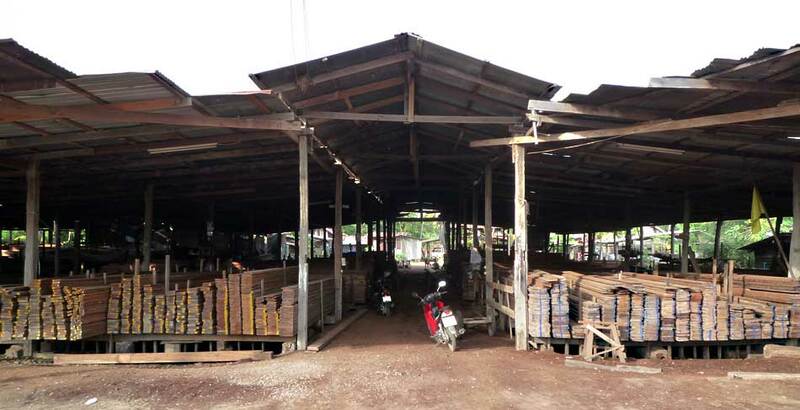 At this moment, there does not seem to be many local sources of construction timber that are independently-certified for sustainable harvesting and processing practices. 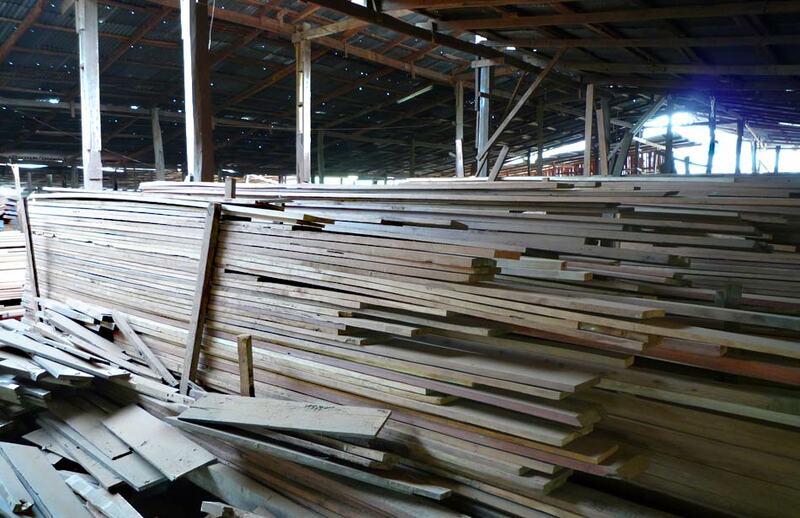 While it is possible to import FSC (Forest Stewardship Council) and other types of certified timber, the cost is currently high and prohibitive for local architectural projects. 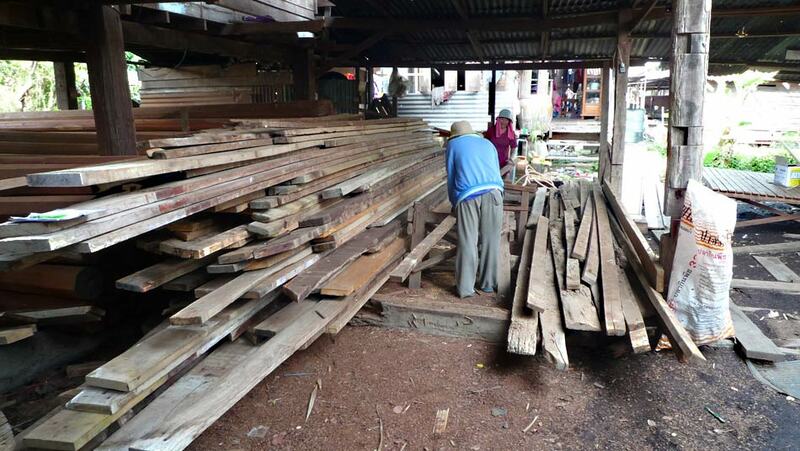 Yet the use of tropical hardwood continues, despite common knowledge that deforestation has reached a crisis level in Thailand and neighboring countries. 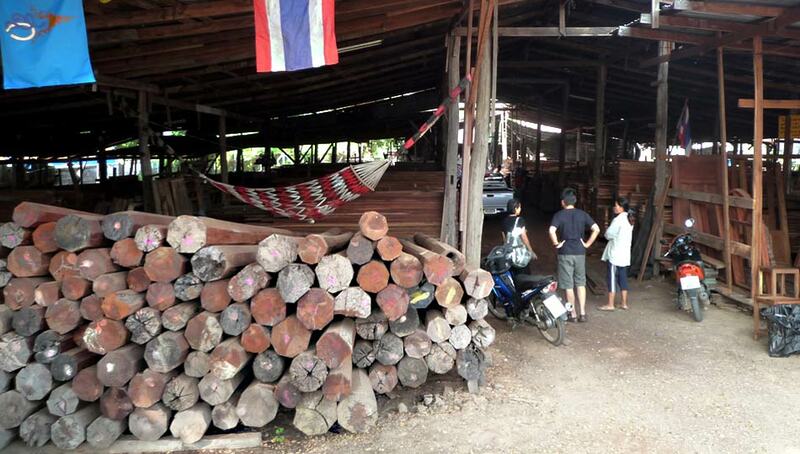 While logging is now illegal in Thailand, poaching and trading of tropical hardwoods (particularly teak and related species) continue due to demand from building owners, designers and contractors. 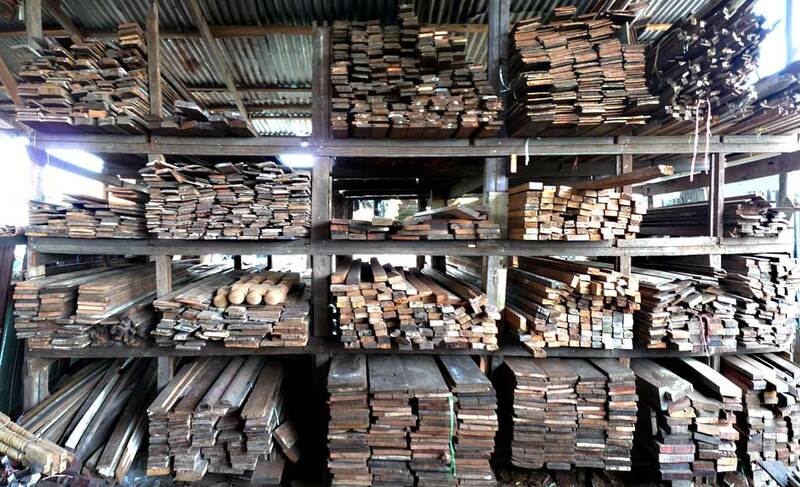 For Architectkidd, we have just made a commitment to do our part by reducing the use of new tropical hardwood in all our building projects beginning this year. Having studied this issue, we realize that there are many different ways to approach and address this. For our initiative, we are not sure how far we will be able to develop strict metrics and quantifiable results. Instead, we have accepted this challenge as an opportunity to incorporate a higher level of resourcefulness and creativity in our design process. 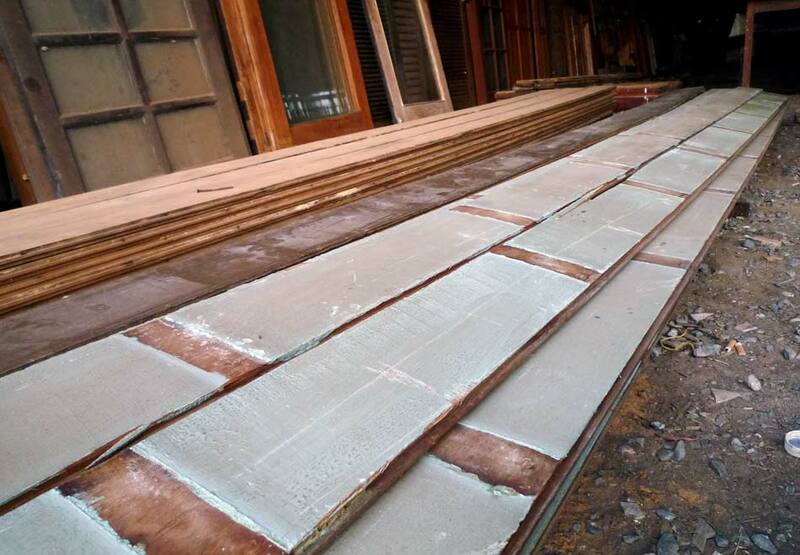 Related to this issue, we have been visiting many local shops that sell old and reclaimed hardwood. 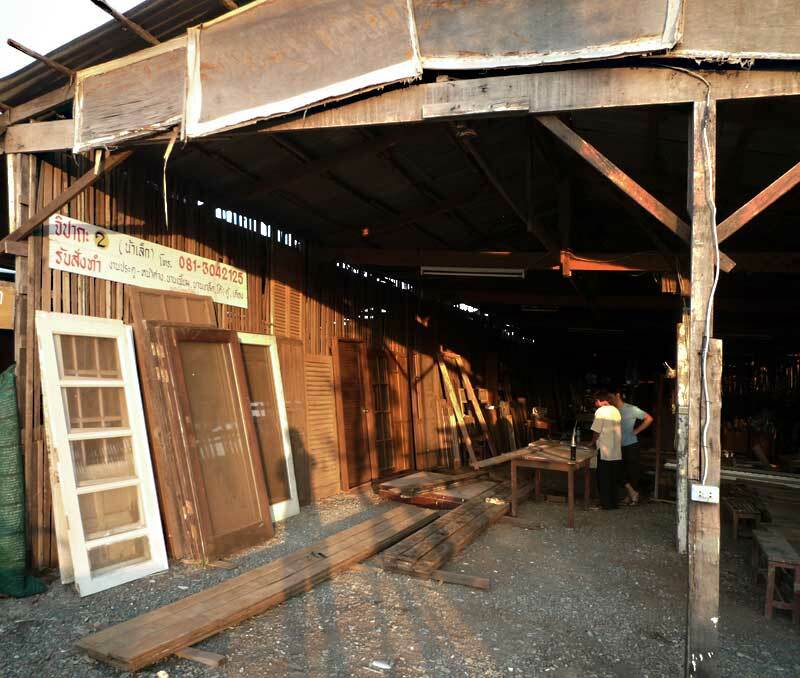 These places are often located in outlying areas of the city where individuals can buy and sell wood mostly scavenged from demolished buildings and structures. 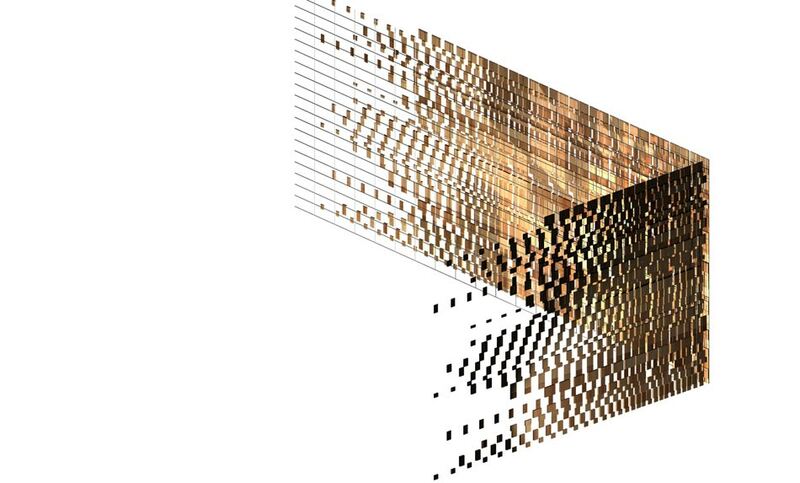 Having studied the types of old wood available in these places, we realized that one of the main challenges of using old wood in new architecture is the non-standard sizing and finishing compared to harvested timber from more ‘established’ sources. 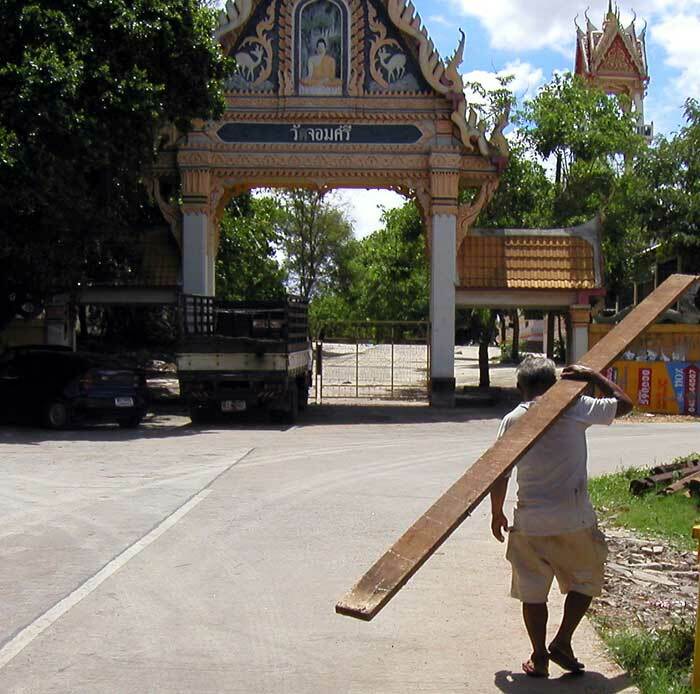 In addition, there is a common perception in Thailand that old wood is difficult to apply in construction and can only yield an old-fashioned and ‘rustic’ appearance in design. 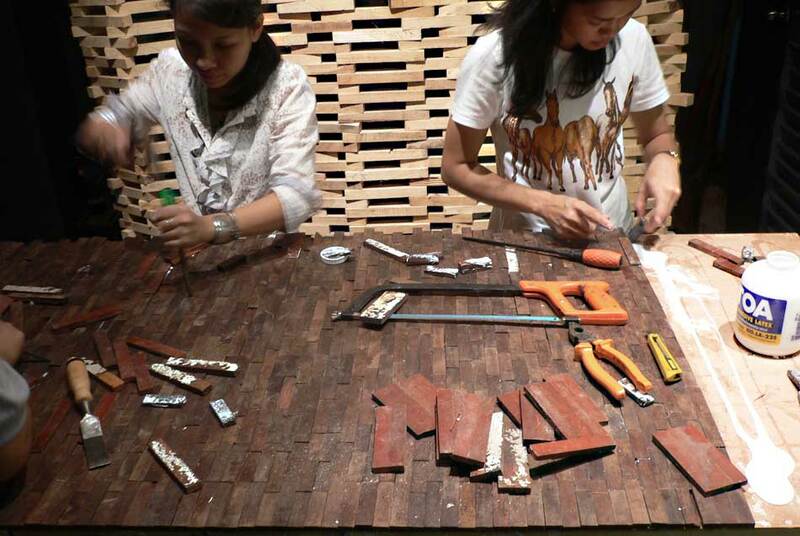 For Architectkidd, we are inspired not only in the environmental aspects of this issue, but also the idea that we can challenge some of the traditional perceptions of wood in Thailand. At the moment, we are not sure how building owners and contractors will respond to our small initiative. But already we have learned a lot from the carpenters and people who work with and have knowledge in building with scavenged hardwood. 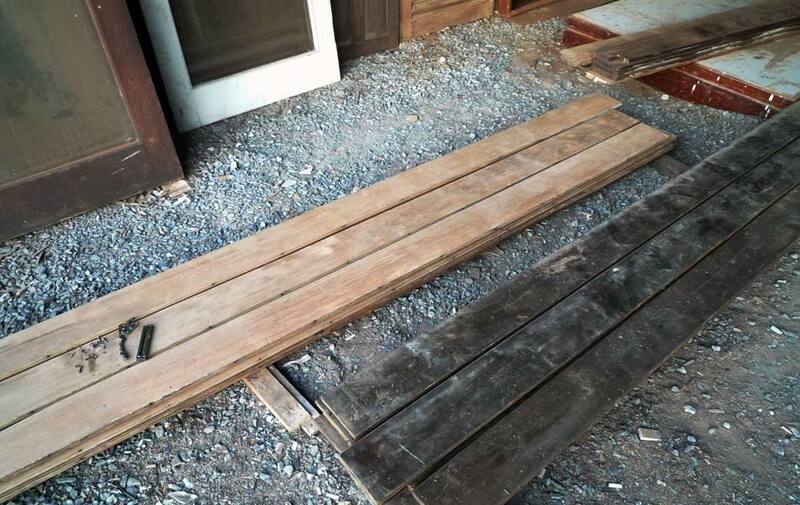 This year, we are planning to develop several projects and prototypes that can visualize the potentials of reclaimed wood and inject a new design spirit into this material. Stay tuned for new developments soon!